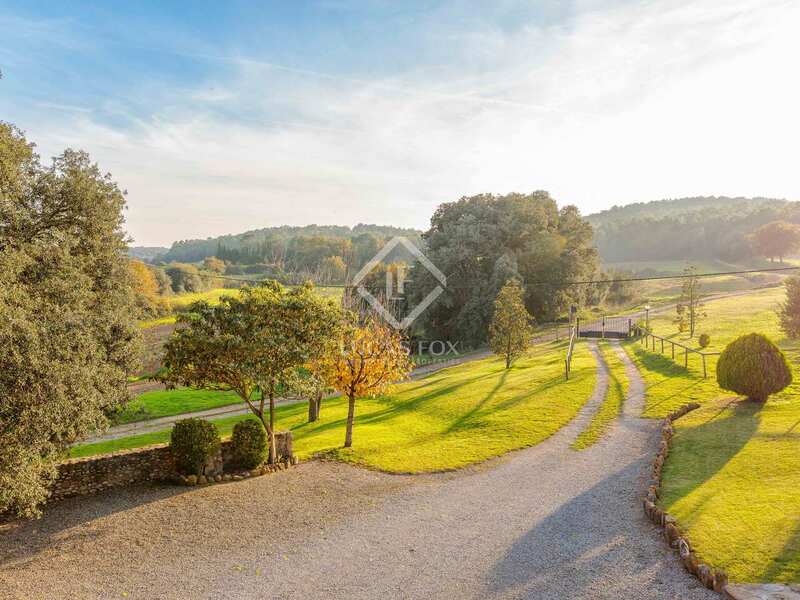 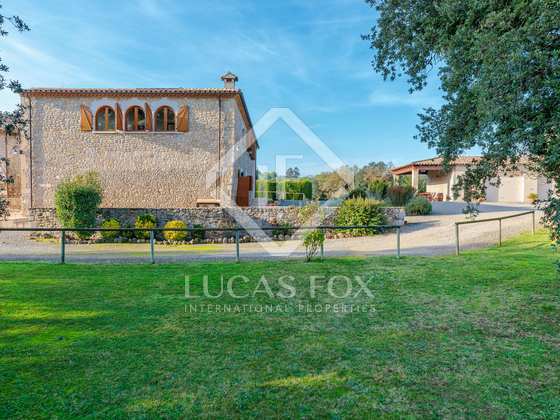 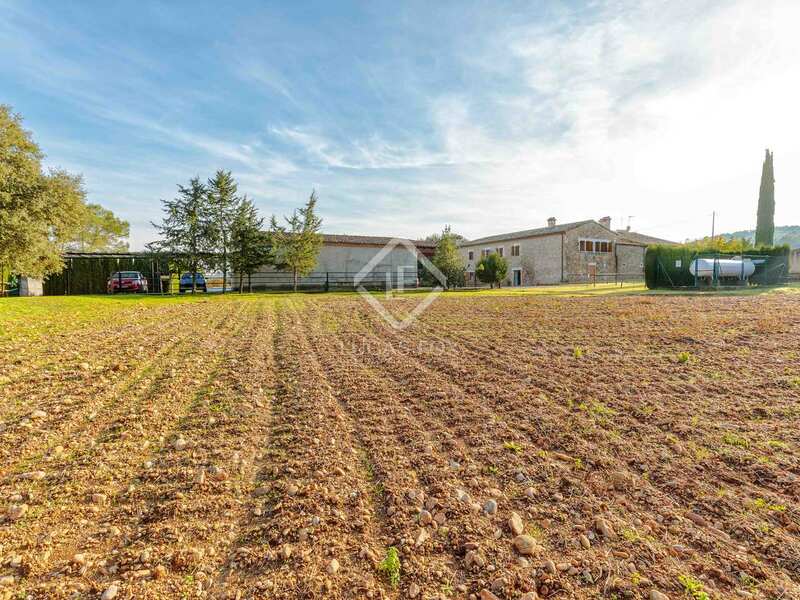 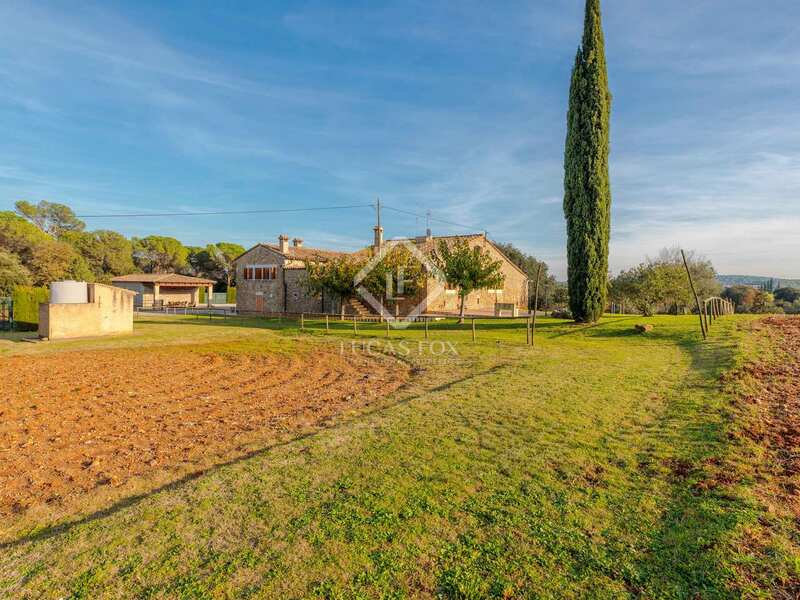 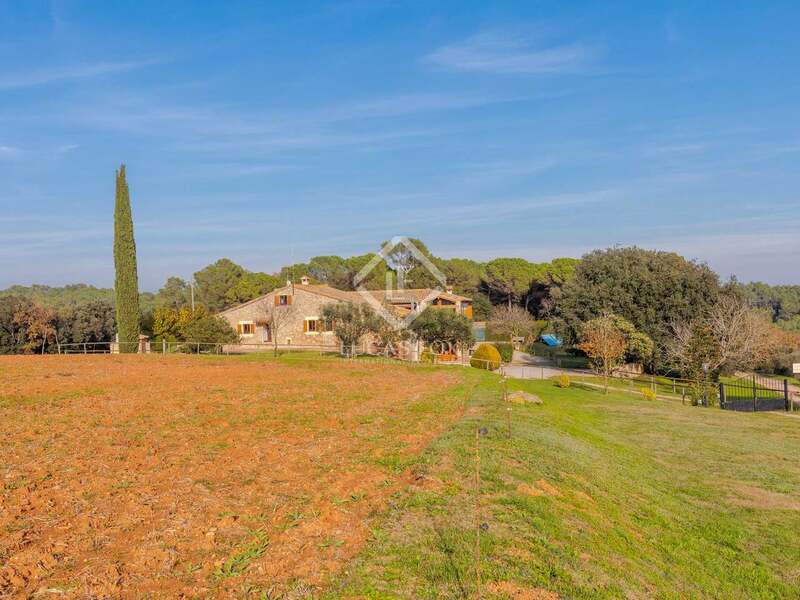 Large country property for sale with 2 independent houses, a heated pool, garden and spa, on 38 hectares of land, set in the heart of Pla de l'Estany. 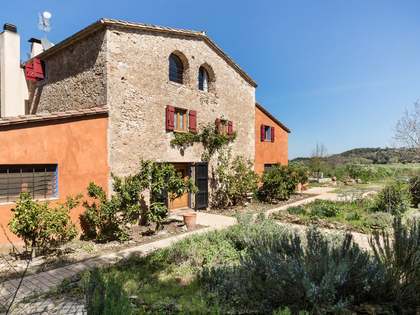 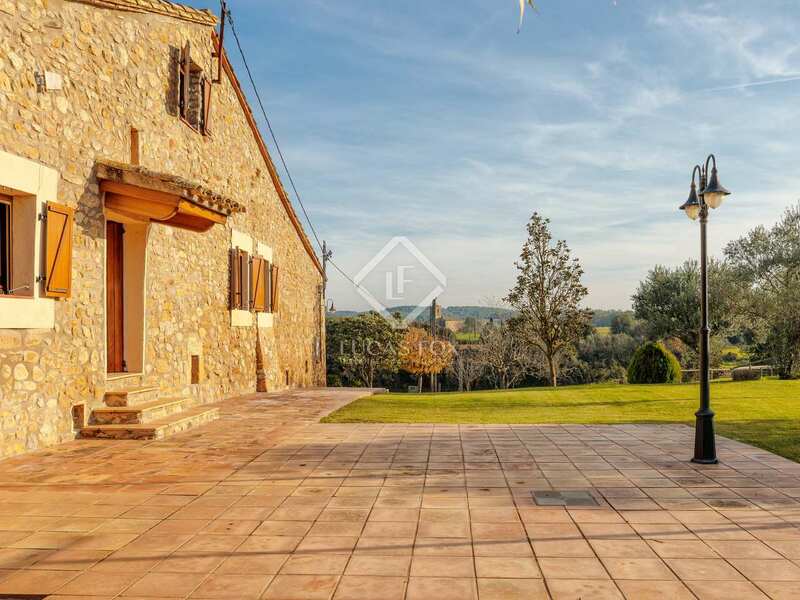 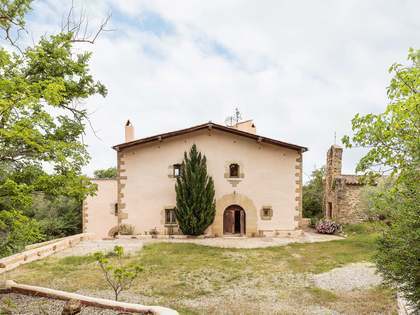 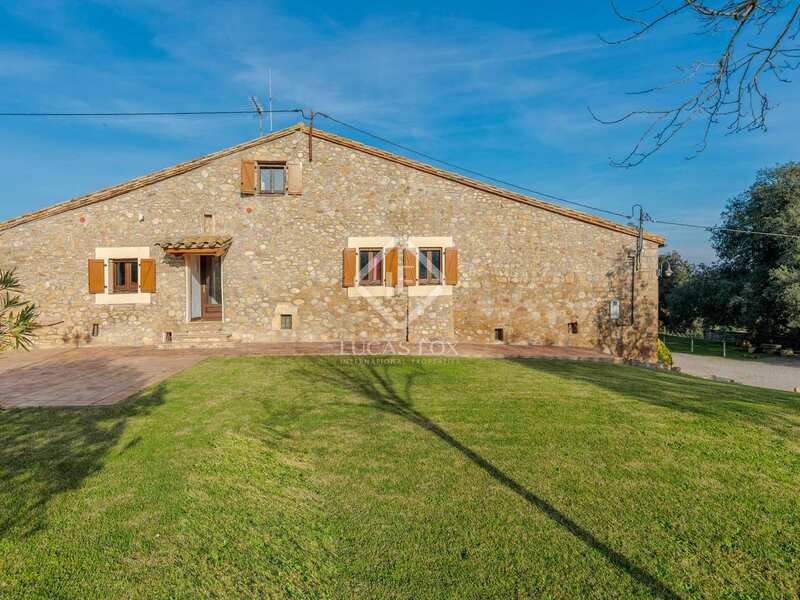 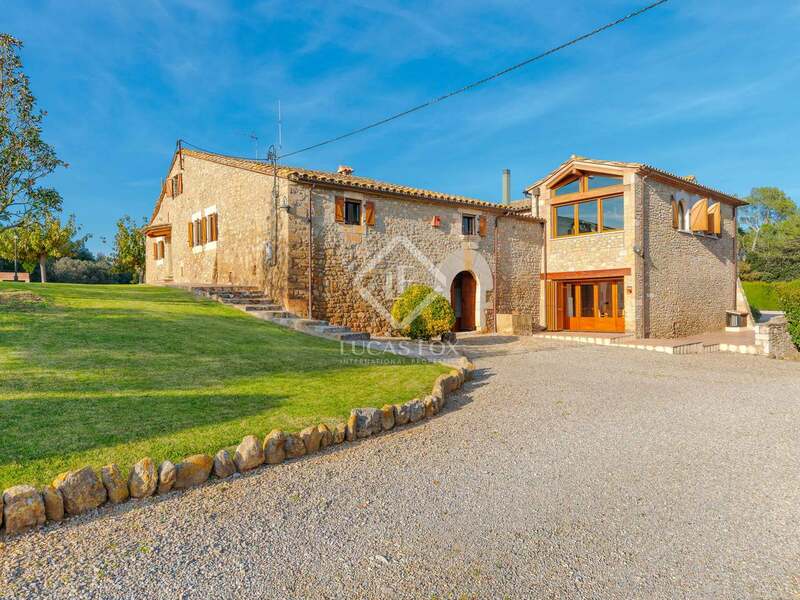 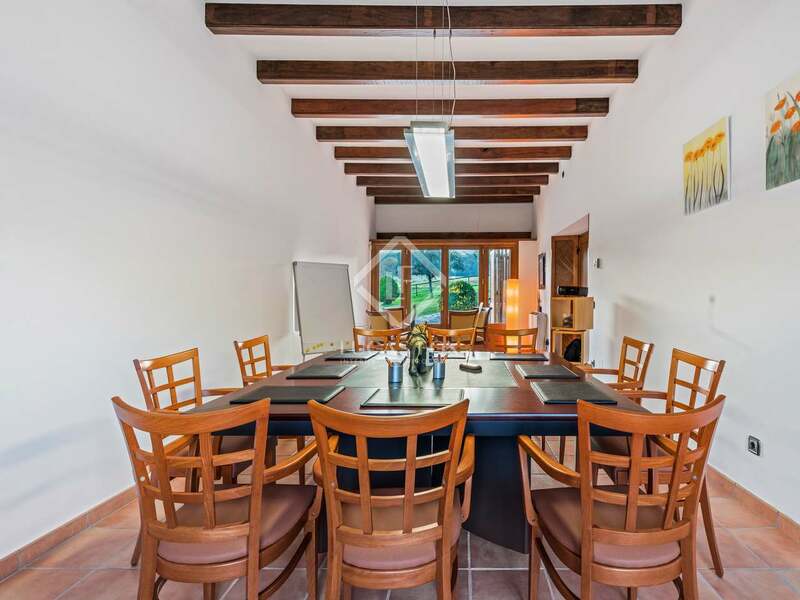 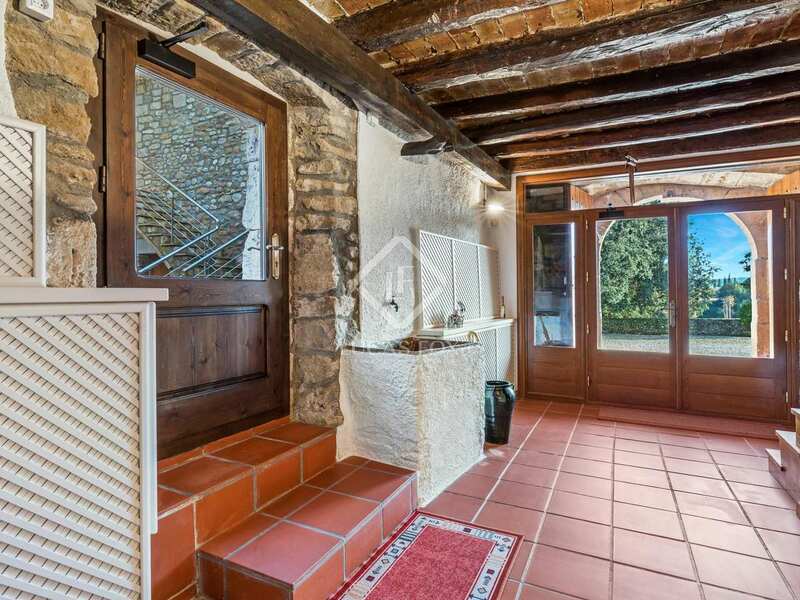 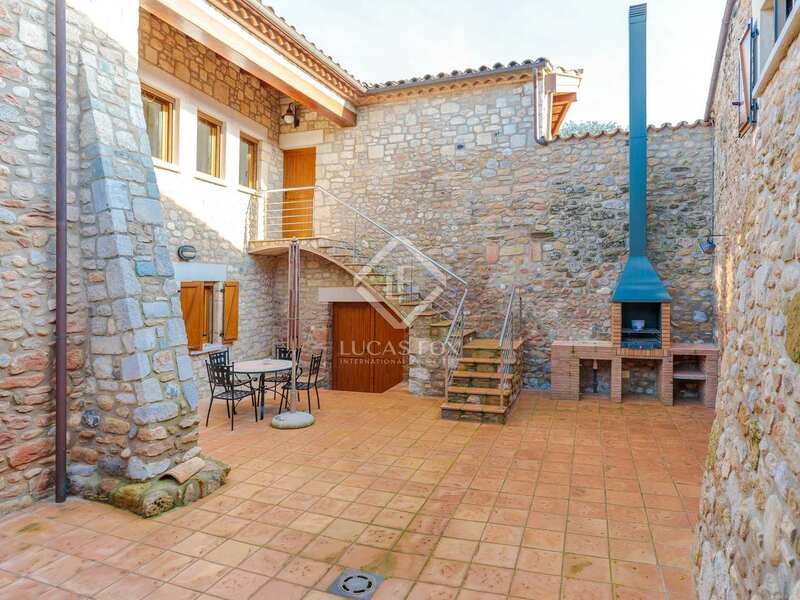 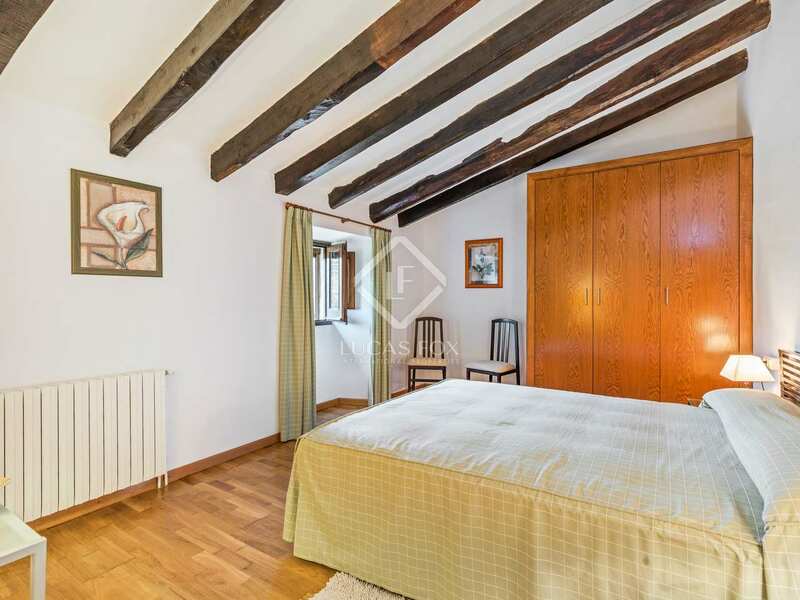 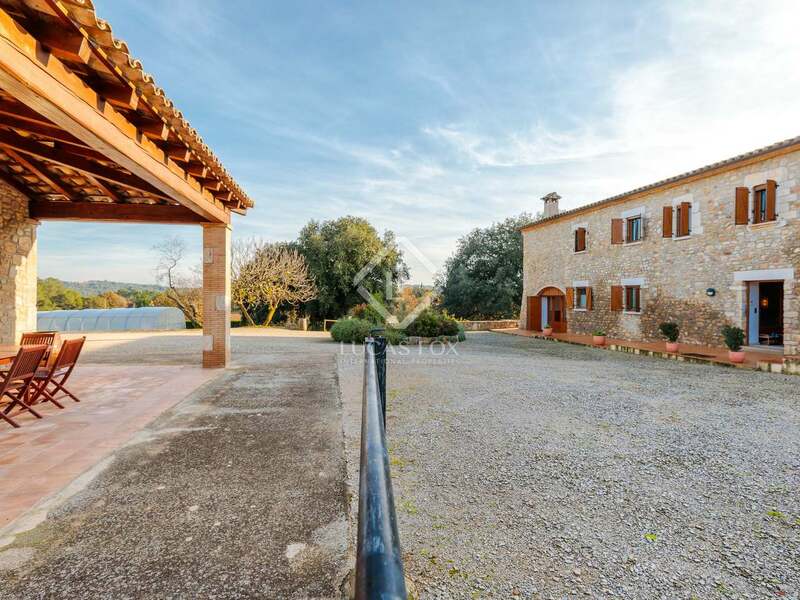 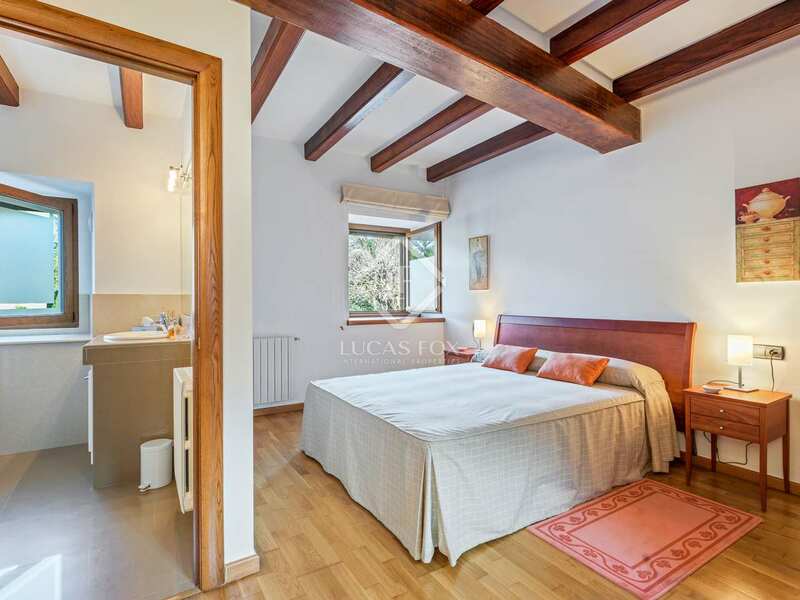 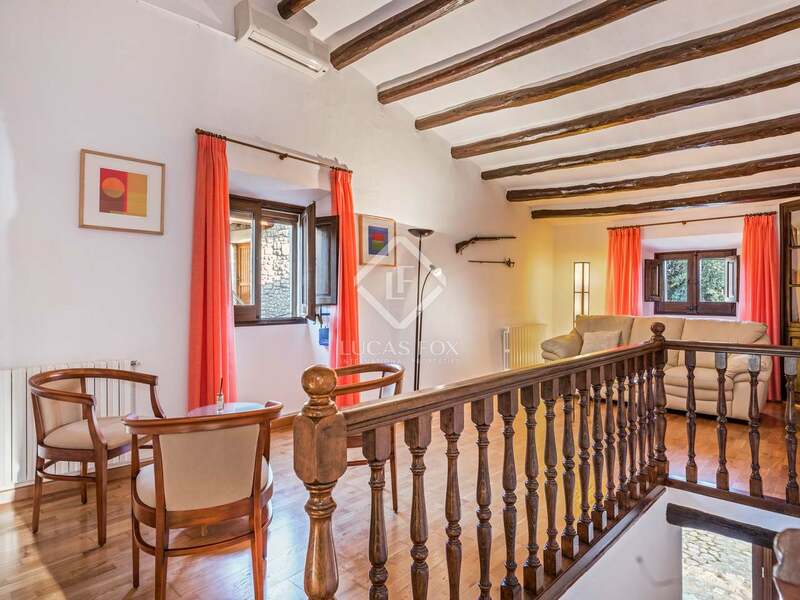 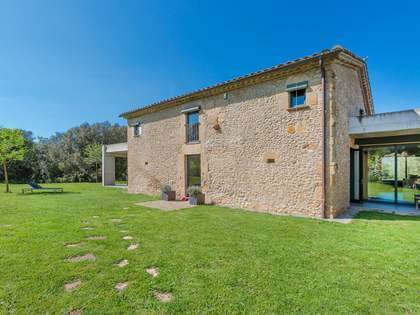 This exclusive, fully renovated country property is set in the heart of the Pla de l'Estany, in wonderful natural surroundings yet close to important towns and services. 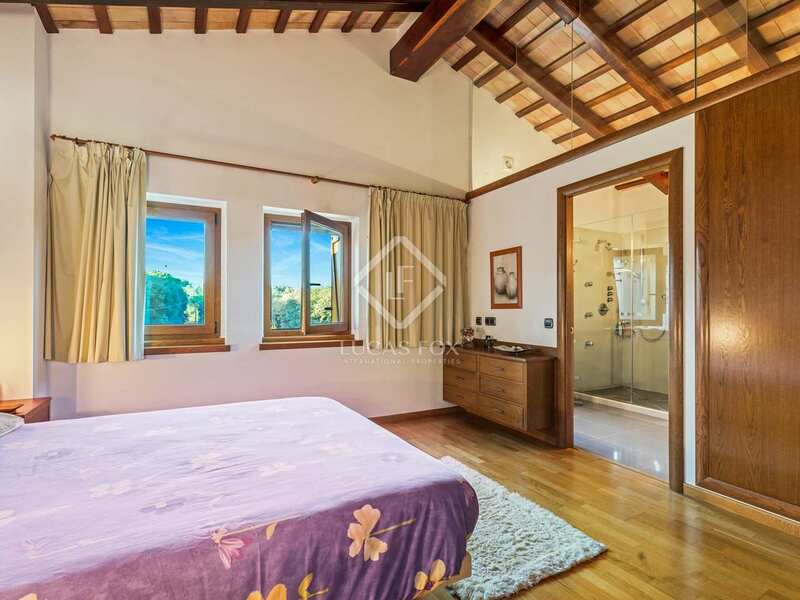 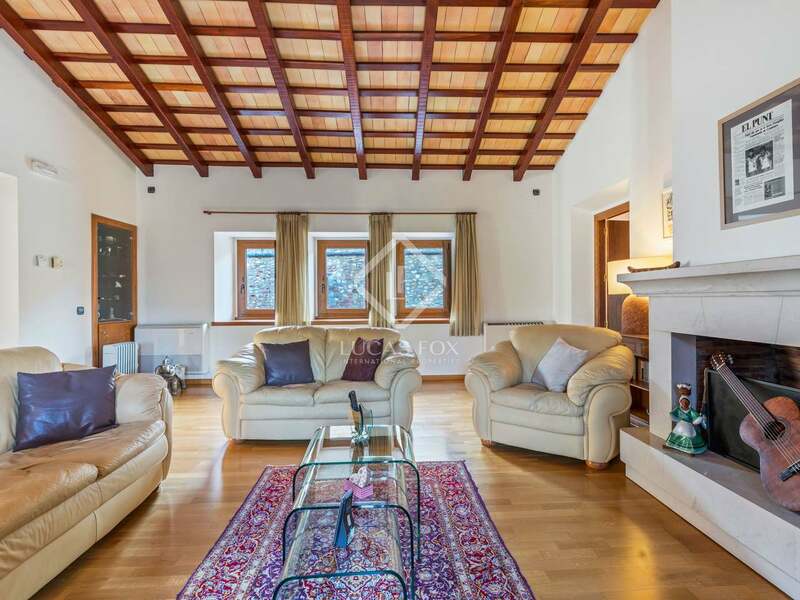 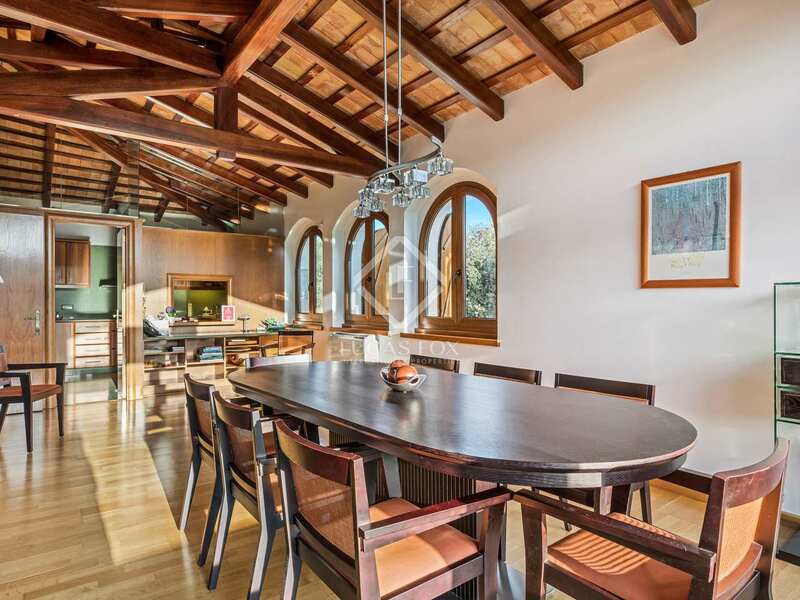 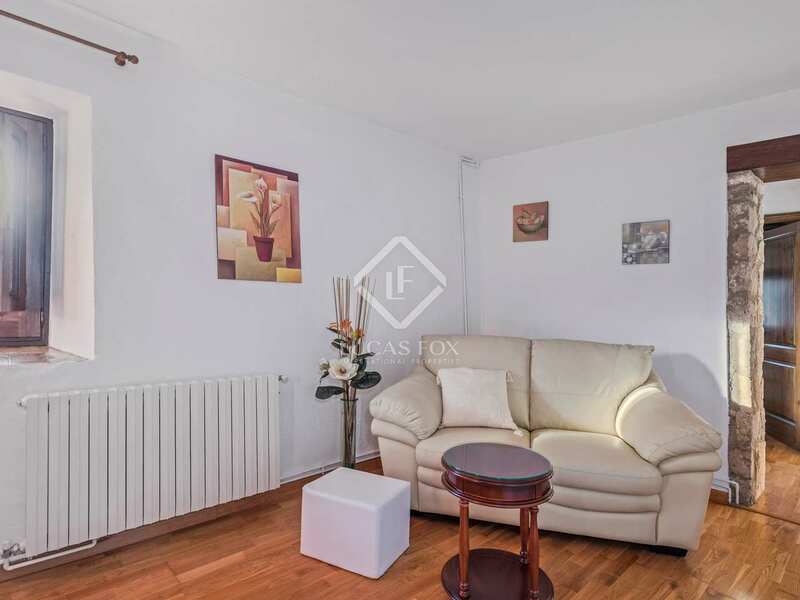 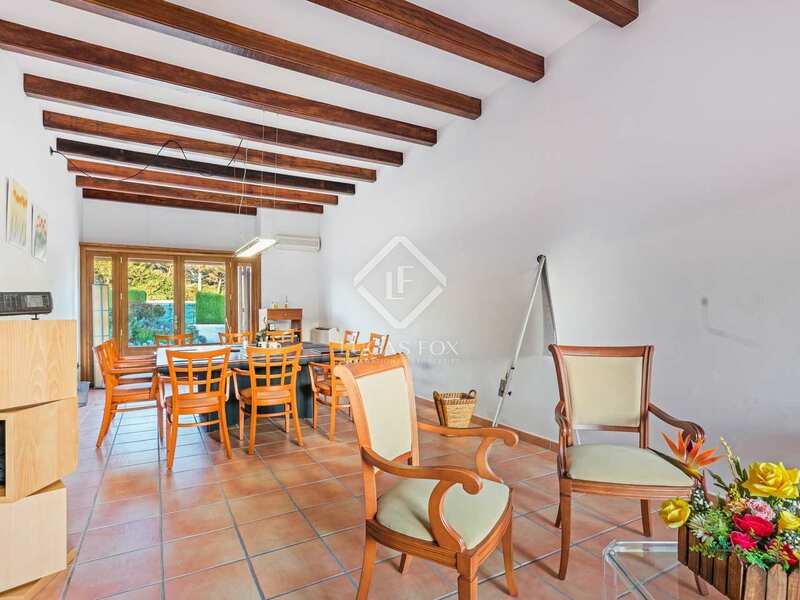 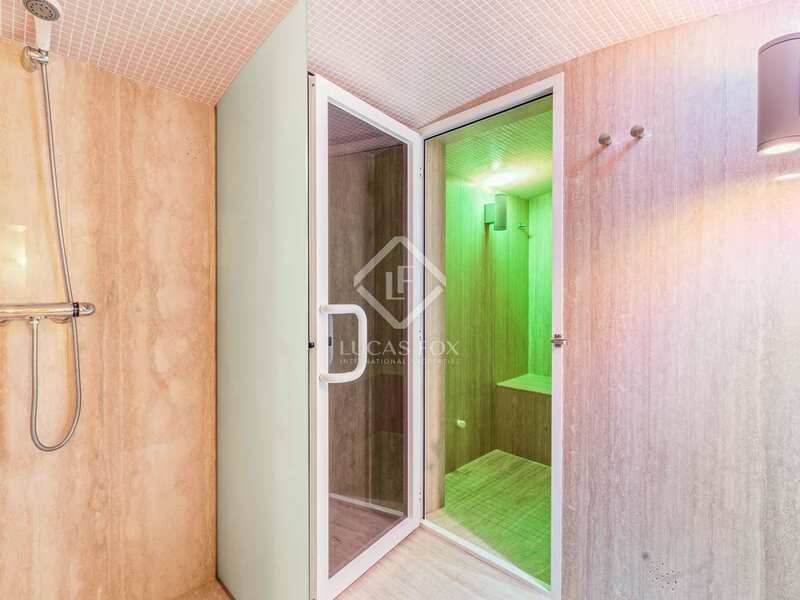 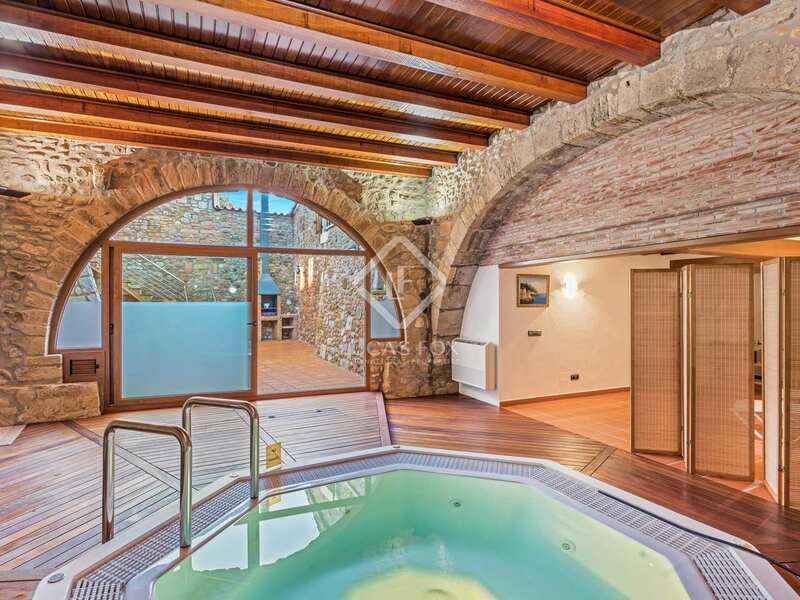 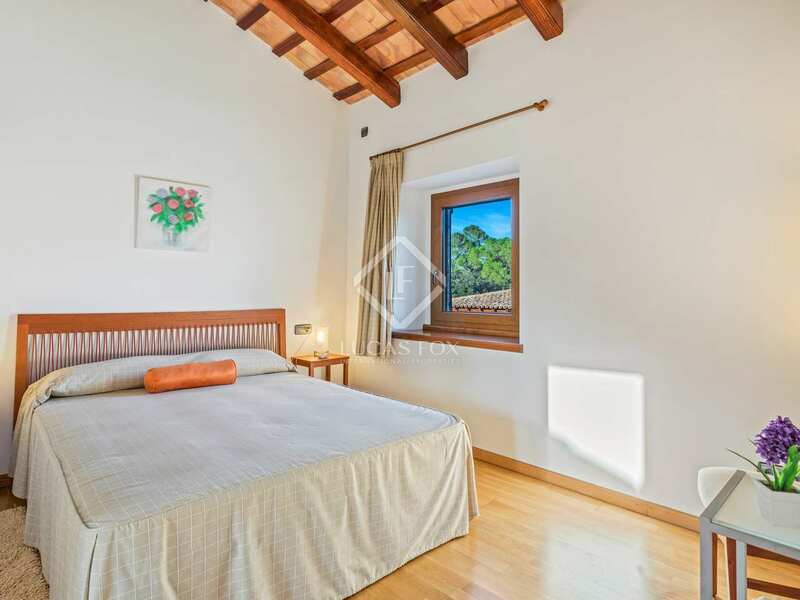 With a total built area of 1,100 m², the estate is organised into 3 main units: 2 independent homes and a spa area, all conveniently built around a central courtyard. 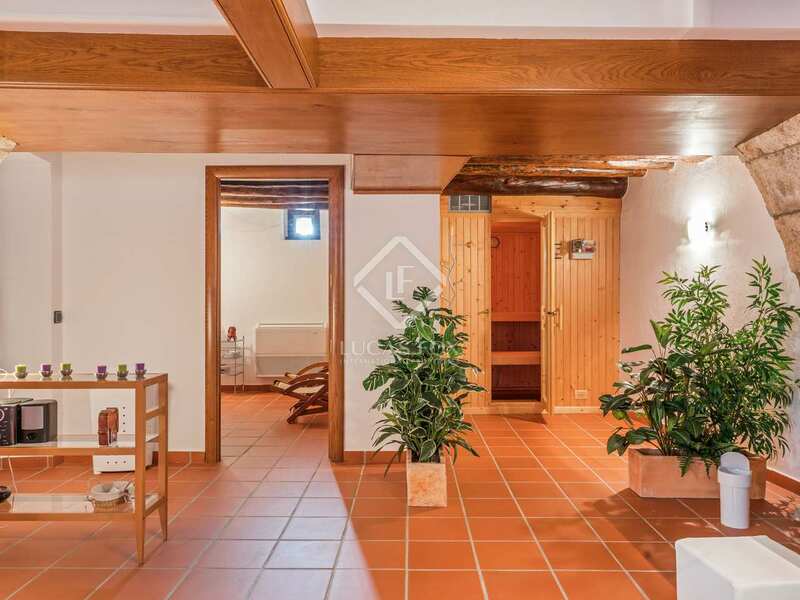 We enter the main house via a large hall that leads to a first ensuite bedroom on the ground floor, a utility room, access to the interior patio and the entrance to a spacious and comfortable spa with views of the interior patio and with all its accessories, steam room, sauna, jacuzzi and massage room. From the patio, with its barbecue area, there is access to a large multipurpose room, designed as a meeting area with abundant natural light coming from both of its façades. 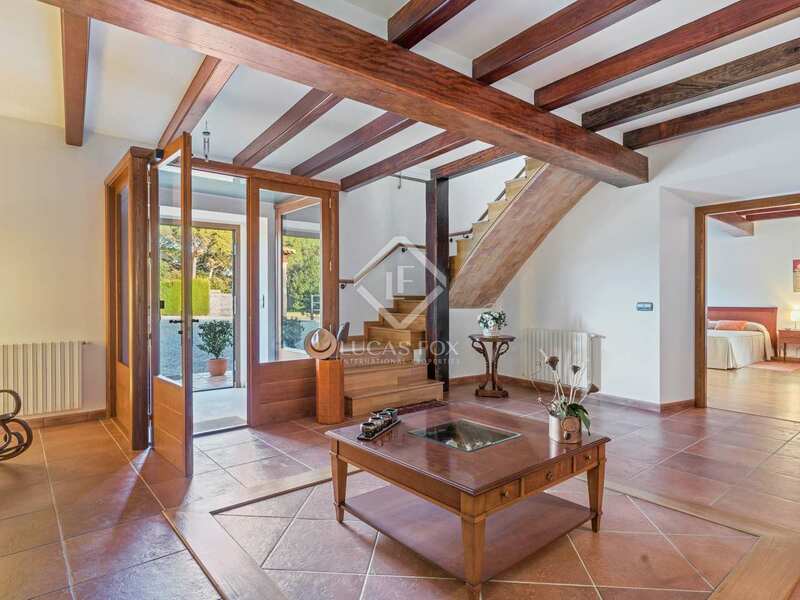 At the main entrance, some stairs lead to a bright living room with a fireplace and access to the main ensuite bedroom. 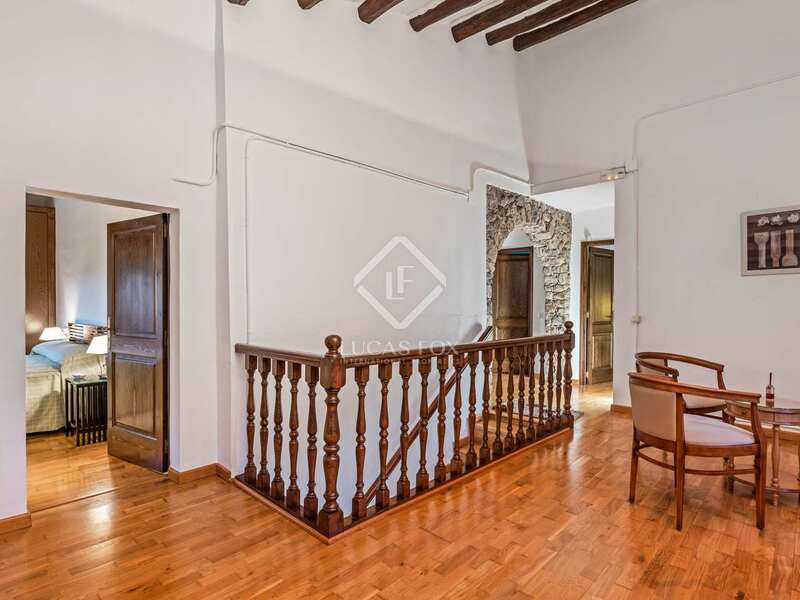 In this same wing of the property we find another ensuite bedroom and a kitchen-dining room from which you can access the interior patio via an outdoor staircase. 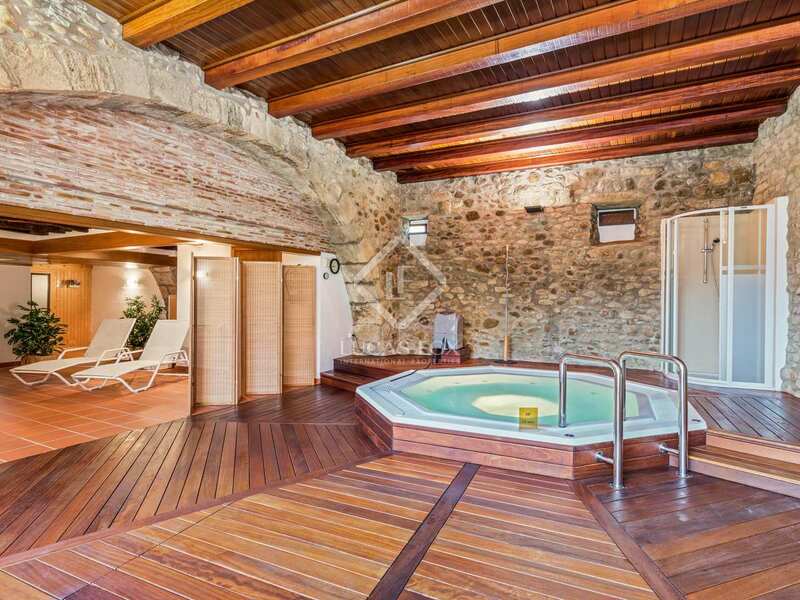 The second house, which can be accessed from the inner courtyard, the spa area and also independently from the outside, has 2 floors and a mezzanine, with a total of 4 ensuite bedrooms, a living room, kitchen diner with a fireplace and, on the ground floor, an office, a service room and a guest bathroom. 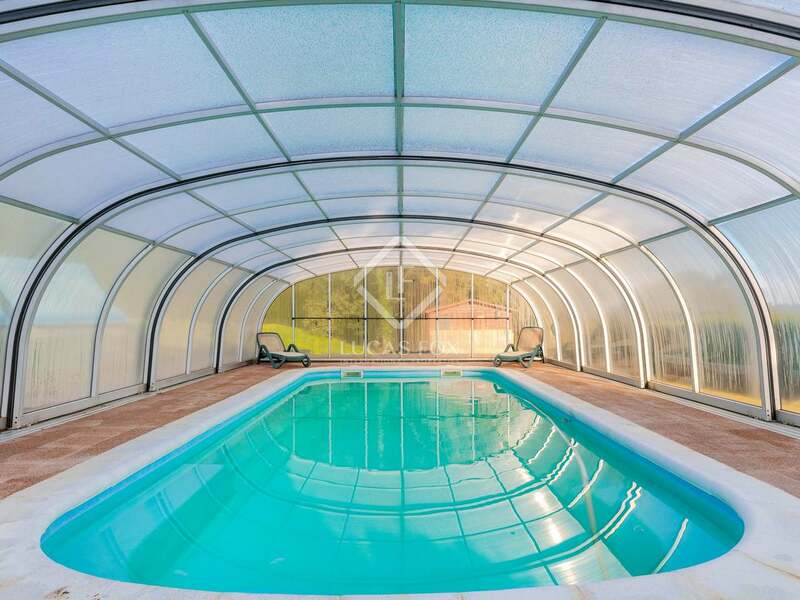 The property enjoys all modern comforts, but in a rural setting, with 3 private wells and public water supply, propane gas heating (deposit of 6,000 l), indoor pool (water heated with solar panels), a landscaped garden area, a large annex currently used as a garage for 3 cars, which could be converted into further housing and some agricultural barns that could be restored as stables. 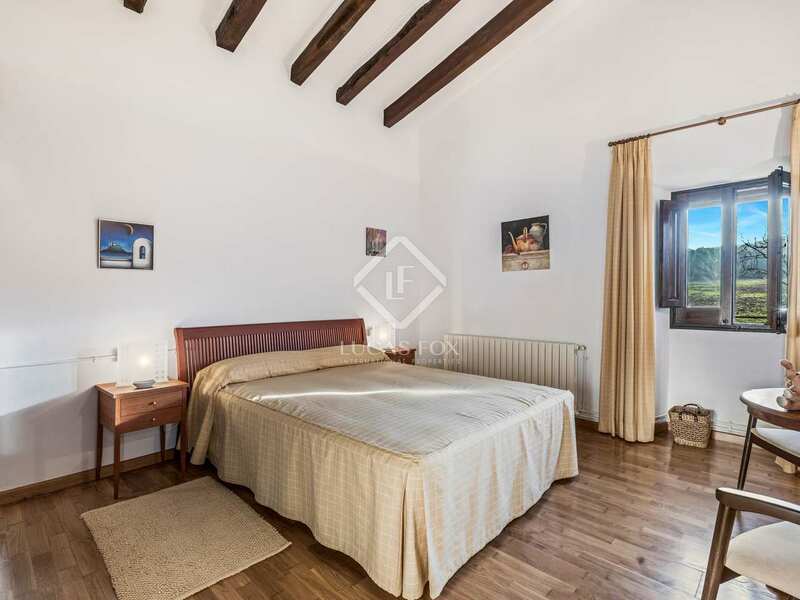 Ideal to enjoy as a first or second residence or to set up a quality tourism business, a service that the property has already carried out in the past. 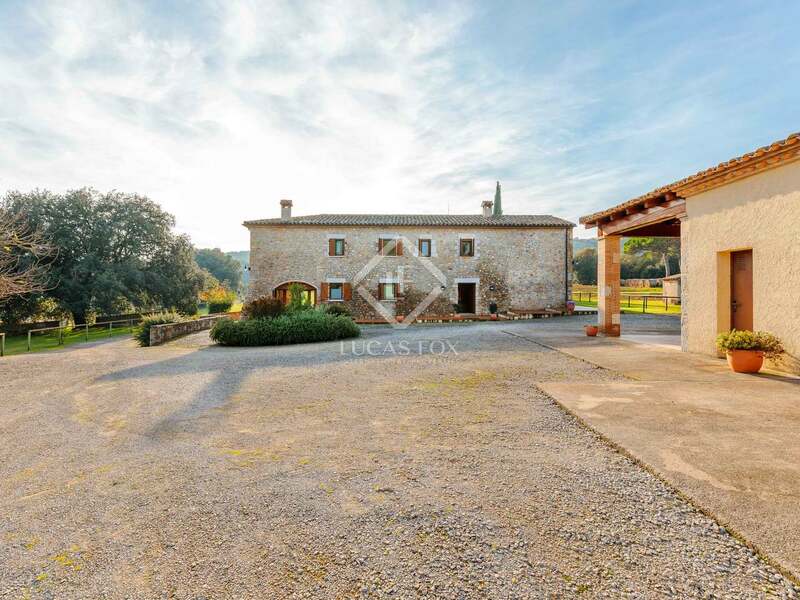 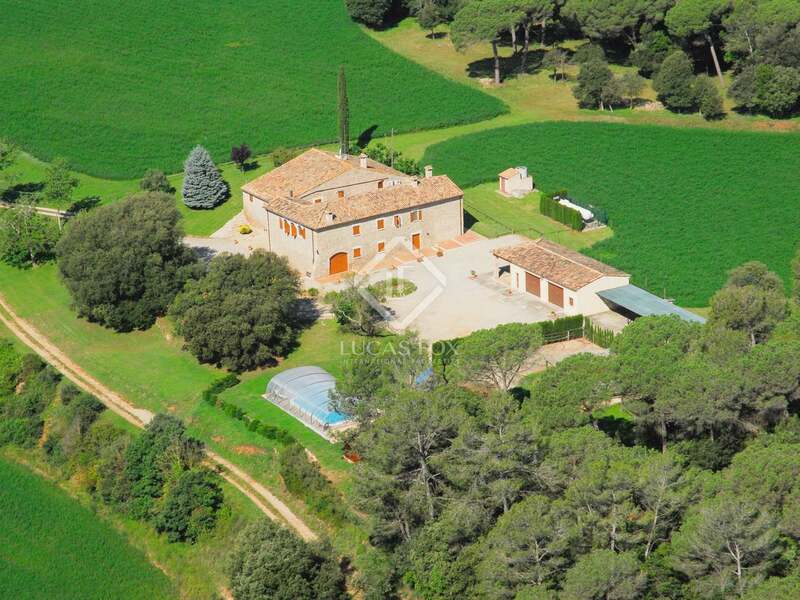 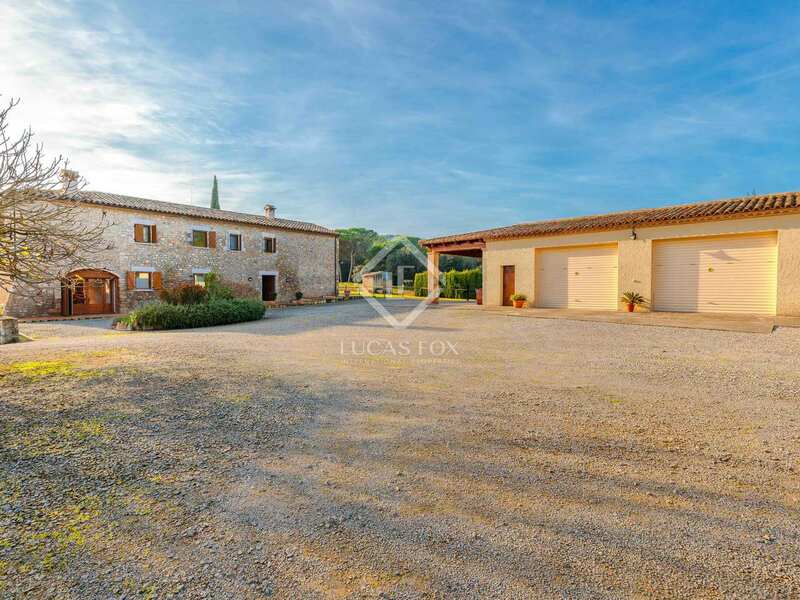 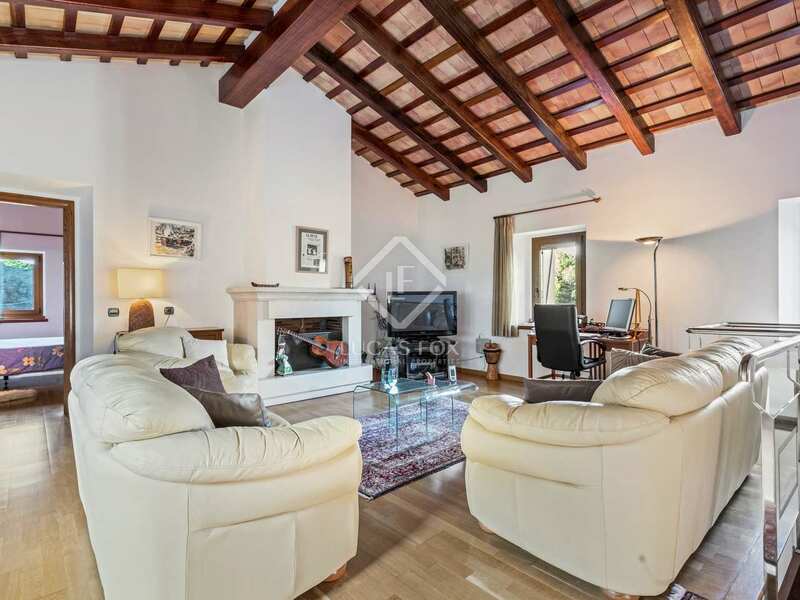 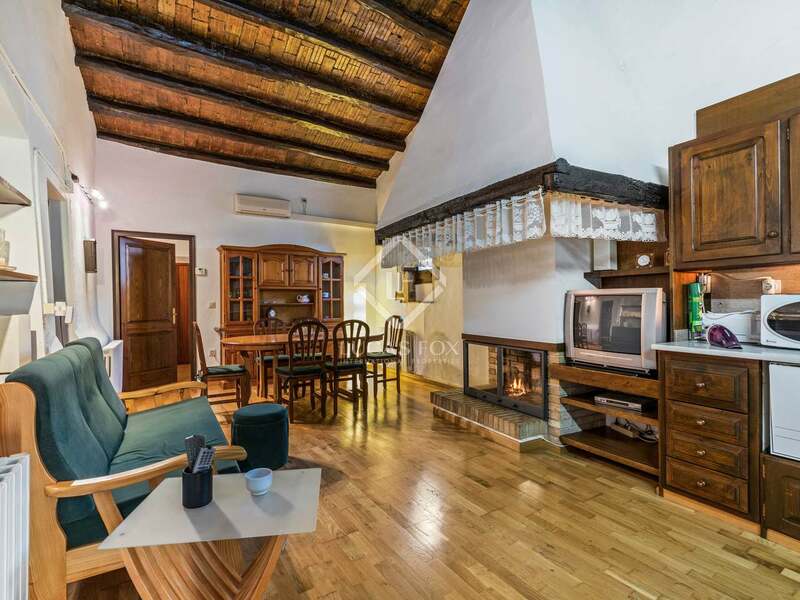 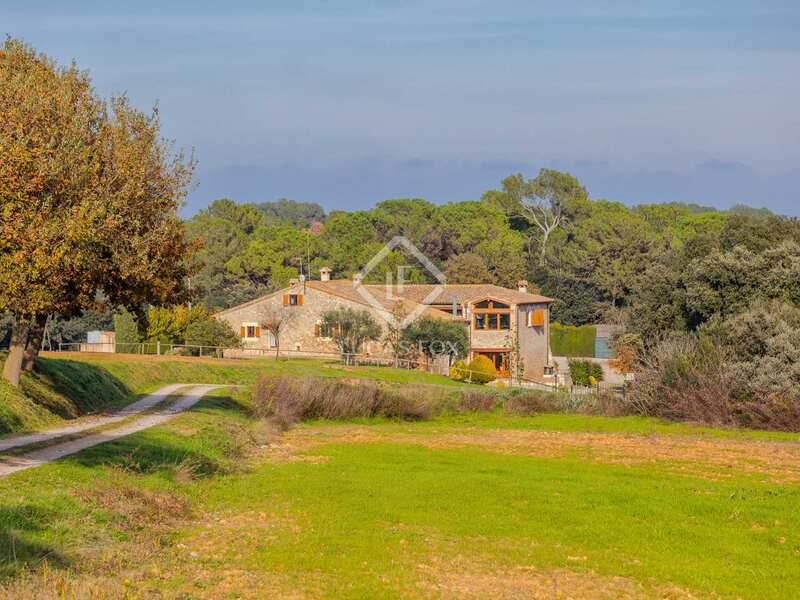 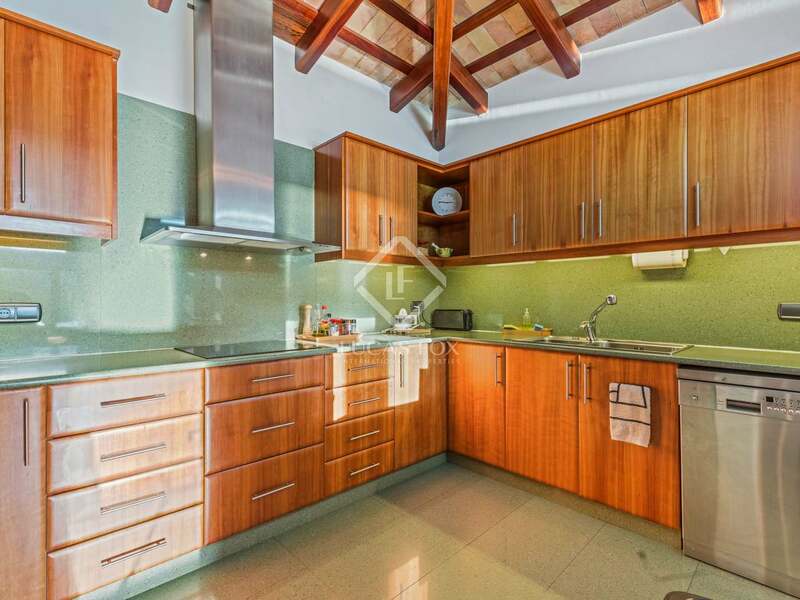 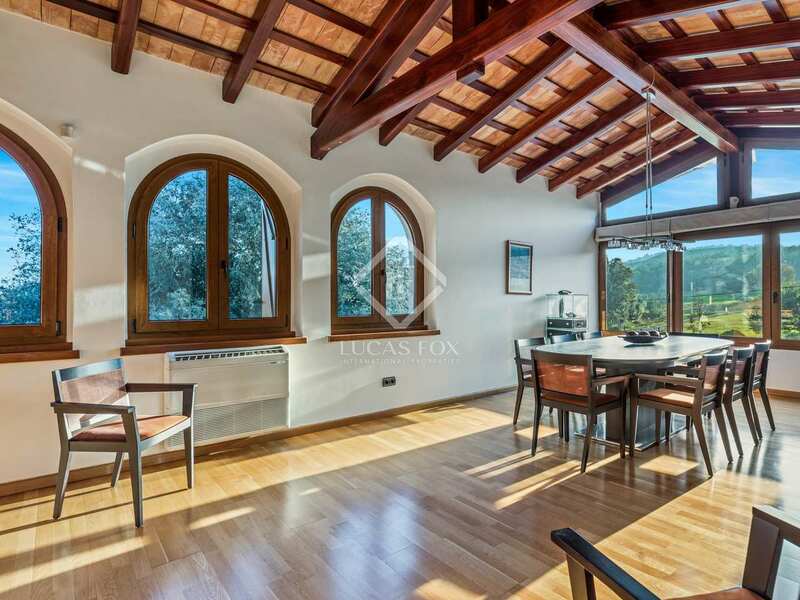 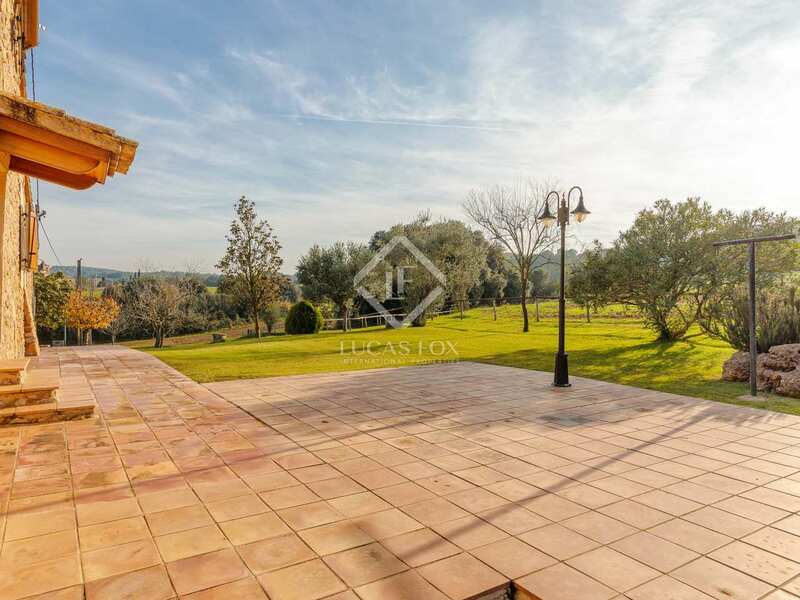 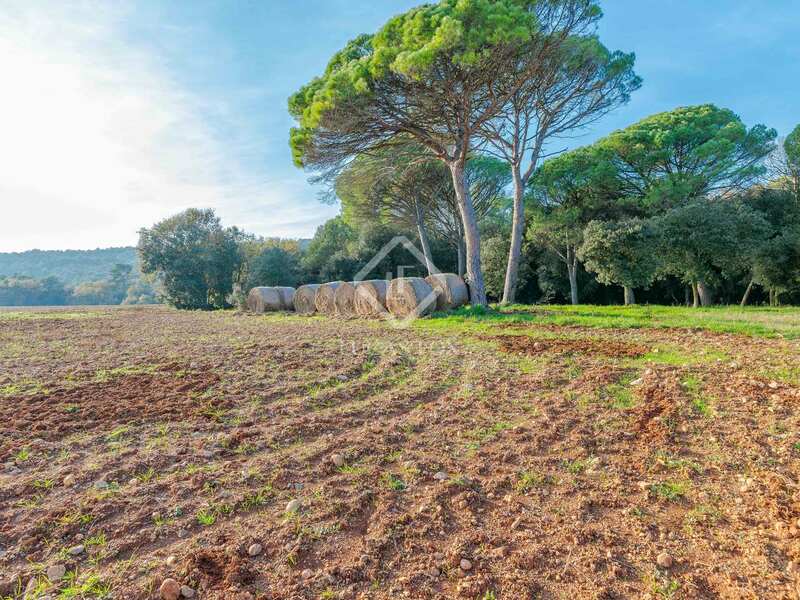 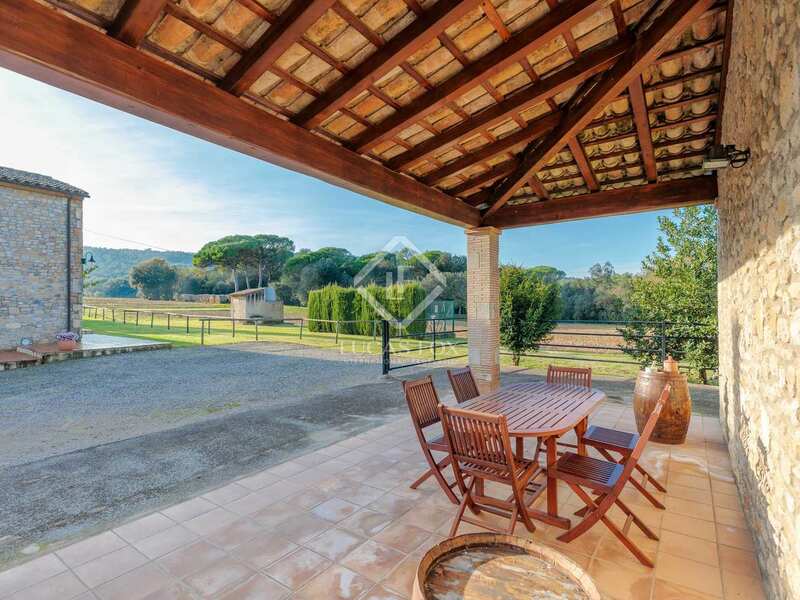 Perfectly located in a rural environment yet close to the main towns of the region. 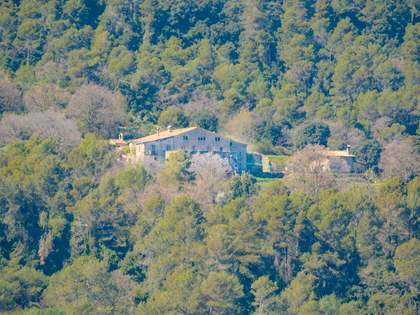 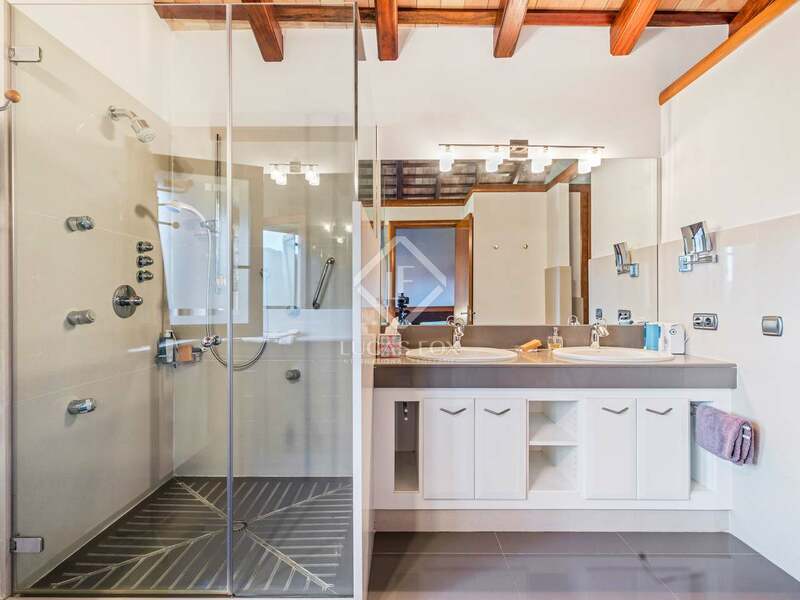 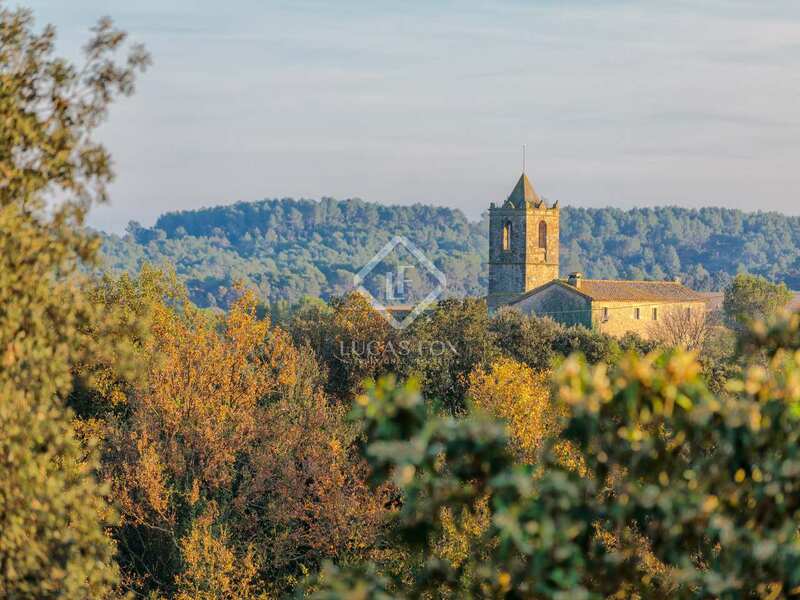 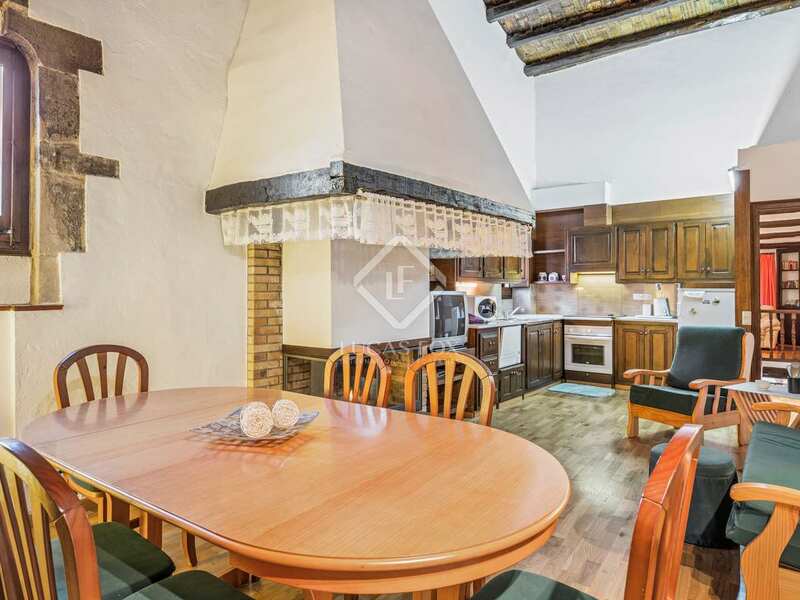 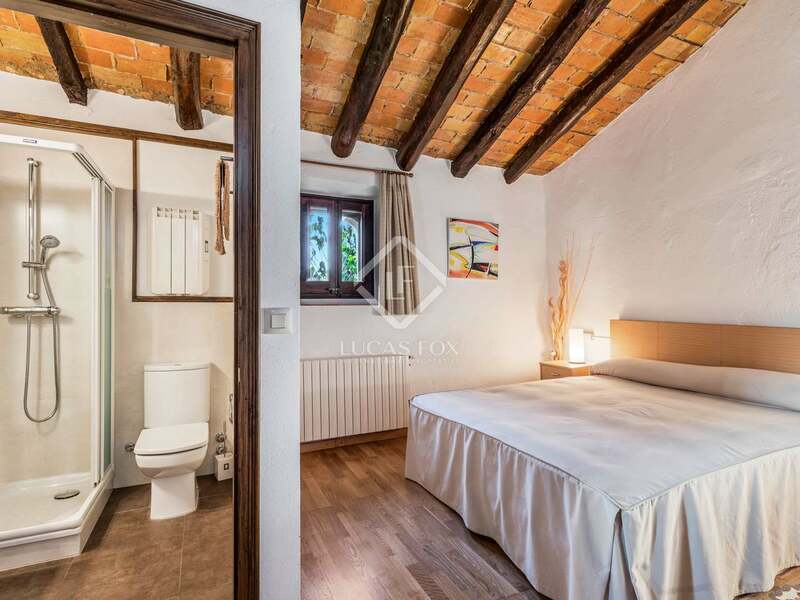 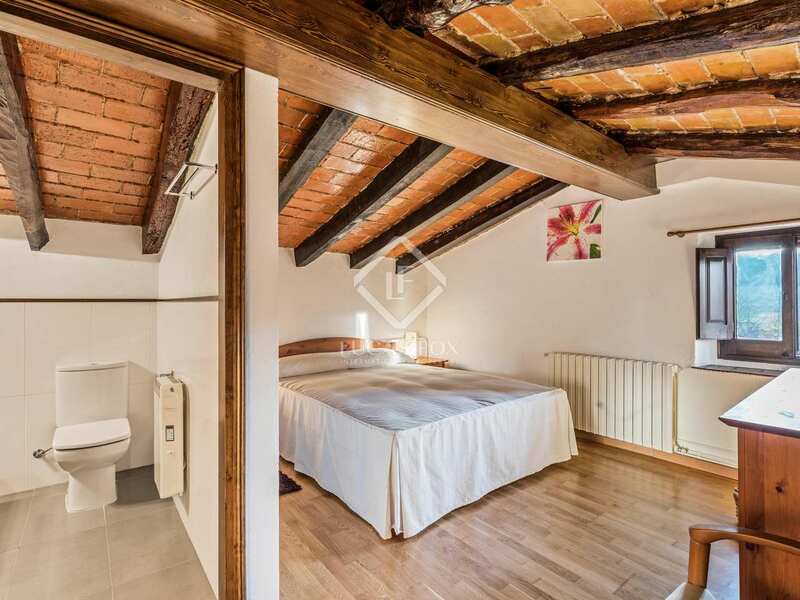 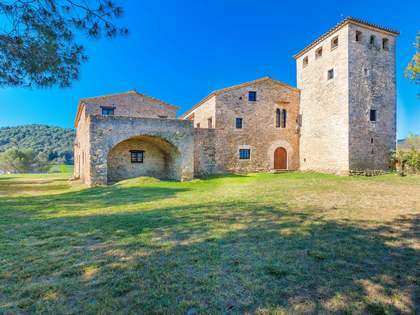 Located at 8 kilometres from Banyoles, 25 kilometres from Girona and from its airport, 35 from the best beaches on the Costa Brava, 80 kilometres from the ski slopes, 75 kilometres from Perpignan and 120 from Barcelona.